Debz suggested another #HeresWhatIWouldHaveSpent challenge featuring ASOS' main range. I'm a big fan of ASOS. I like it because it stocks brands I like as well as a lot of their own range is my style. Sizing is still a bit iffy but over all I know what size to order in the styles I like. They've also been really great customer service-wise, when a dress I ordered for a wedding in November arrived with a food stain and I didn't have the money or time to order anything else they refunded me the money before I sent the dress back and I was able to buy something from a shop. Over all internet shopping is my least favourite form of shopping, I'm a very tactile person and like to feel fabrics and I like instant access to goods. Dresses, Size 20-24, Under £30, Lowest to highest prices, Sale. If you search dresses on ASOS you get: 10,871 styles found WoW where do I start with over TEN THOUSAND options!!! I started off with just selecting ASOS branded items, I was surprised just how many brands are in the list. I normally select my size range first which greys out the majority of brands and I guess I just don't look at the list as I want to know about everything in my size range. 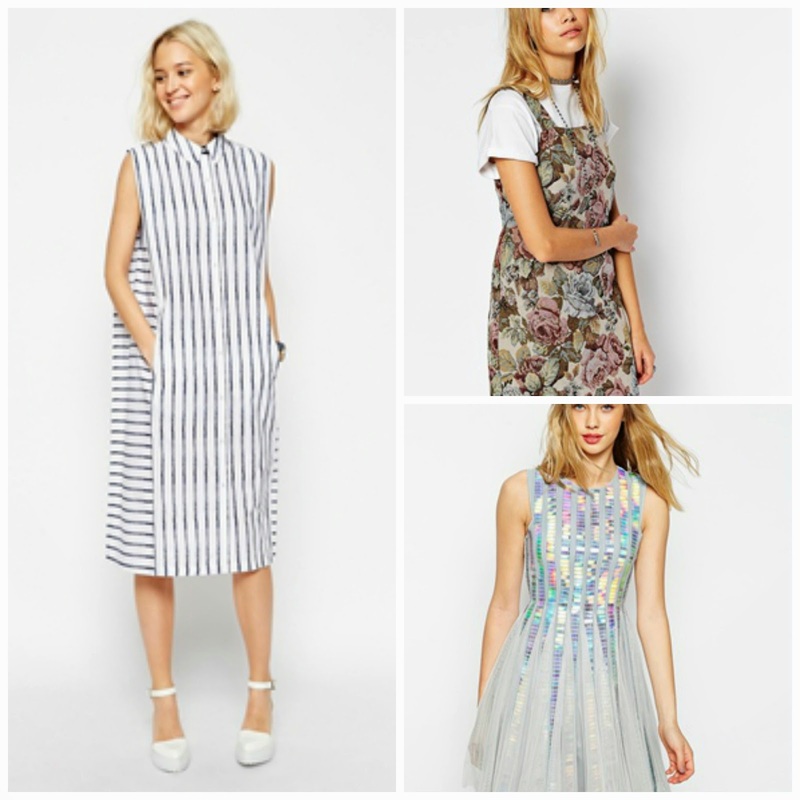 Of the three I like the tapestry print dress, it embraces my inner 90s teenager, but the striped dress has pockets. For my next search I changed the maximum price to £30. I like sales bargains and because of how much I buy I really justify spending a lot. Plus I don't really go anywhere to justify a fancy frock. I think the dipped hem dress would be great for holidays. I'd need to wear something under but it shouts holidays to me! It's fab isn't it!! I've realised i've missed out the most important items Dinosaur print dresses with pocket!! !